Gary and Maria brought Joseph and Junior over about 6:30 to spend the night while they went to a concert in Ventura. Back is still bothering me alot. Since Mom and Frank took the schedule for the Ventura County Fair to Gary and Maria's 3 days earlier, I assume that is where they attended a concert this night. I looked on the internet to see who was playing, and as often happens, I was unable to find any information on the fair that year. I did a little research to find out how long the internet has been around, and it was not available for commercial use until 1995. No wonder I have difficulty so often. 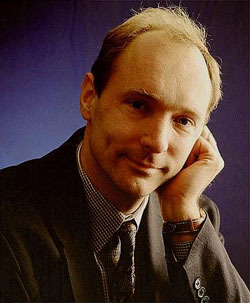 Tim Berners-Lee, a British computer scientist and professor at MIT, was honored at the 2012 Opening Ceremony for the summer Olympics in London just a few days ago as the inventor of the World Wide Web. "This is for everyone" was spelled out in LED lights held by 70,500 people in the audience. Thank you Sir for changing our world so profoundly.